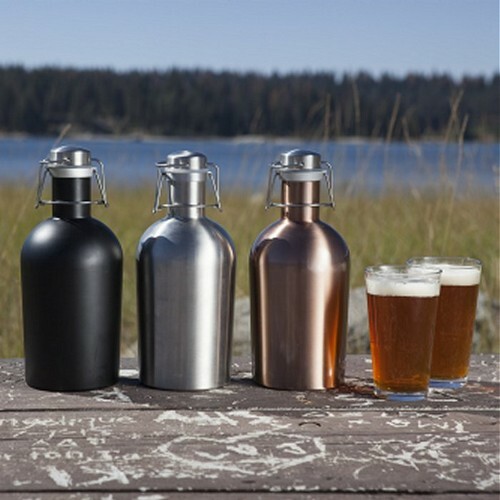 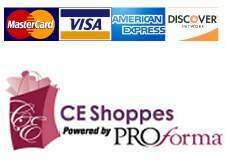 Stainless Steel Rose Gold Copper Growler, 64-oz. 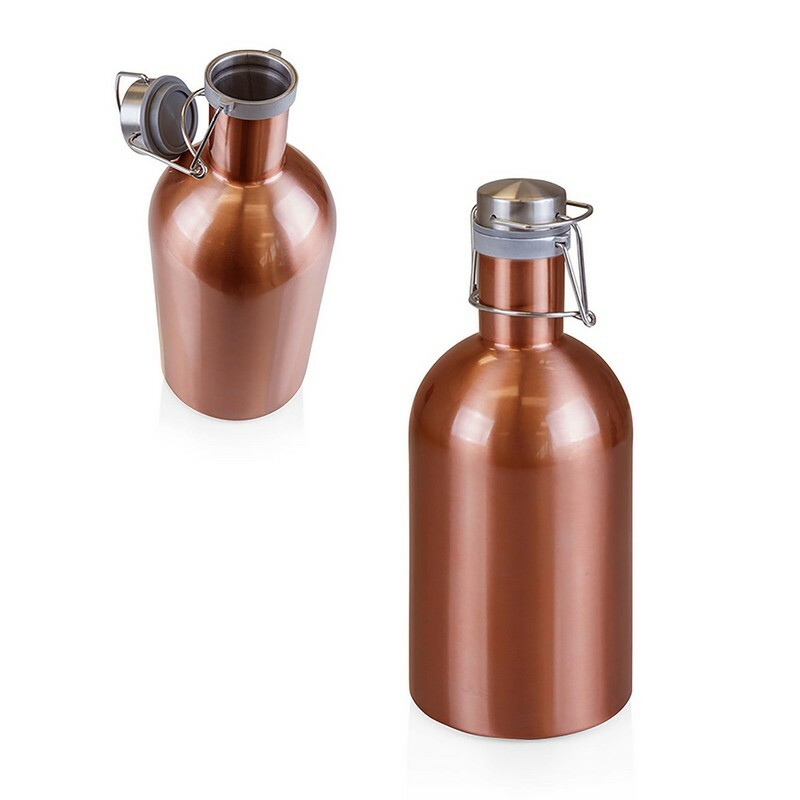 Food grade stainless steel construction; Corrosion and oxidation resistant; Suitable for craft beer, hard cider, cold brew coffee, and water. 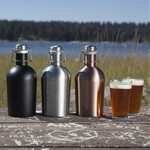 Sturdier than a glass growler, and complete with a secured swing-top cap.